The Tourism Authority for the southern Caribbean island of Martinique is now making a case to the Florida-Caribbean Cruise Association (FCCA) to attract more cruise business to the island. The Martinique Tourism Authority is hosting a delegation of FCCA members this week. 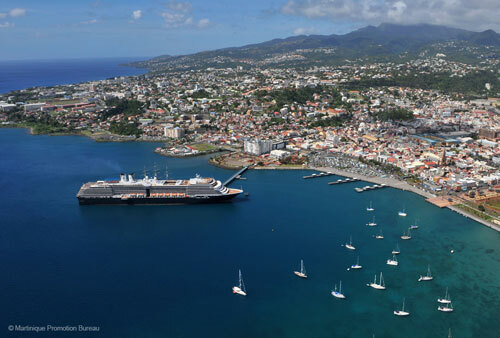 The opportunity to grow tourism by developing the cruise sector has never been greater according to Karine Roy-Camille, a Commissioner for the Martinique Tourism Authority. Recent improvements to the Malecon promenade and La Savane Park in Fort-de-France have reinvigorated the capital. Ongoing upgrades to the Point Simon wharf and Tourelles cruise terminal will soon enable the world’s largest cruise ships to call on Martinique. “Martinique has taken great strides to further enhance its destination product and infrastructure for cruise tourism”, says Michele Paige, FCCA President. 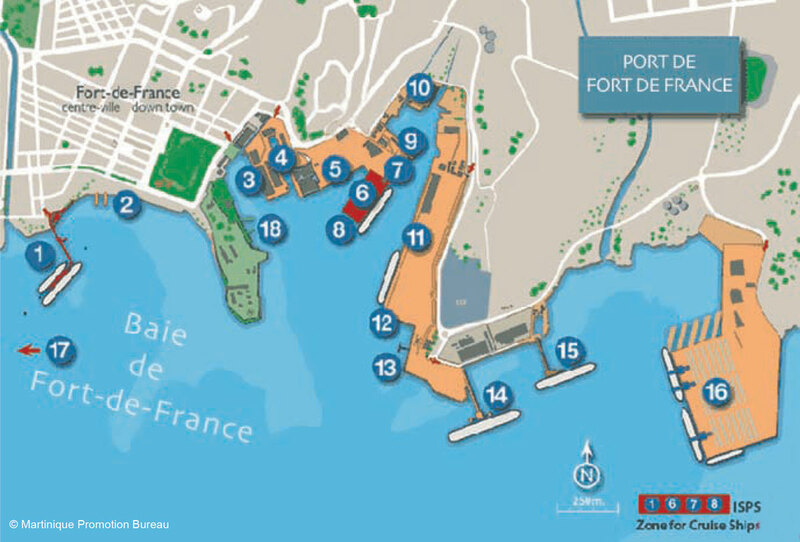 During the tour of Martinique, the FCCA delegation will visit Pointe Simon and the Tourelles cruise terminal, tour the re-built Macecon promenade and historic La Savane Park, a 12-acre area in downtown Fort-de-France. The tour will also include the popular tourist attraction, Le Village de la Porerieand and the shopping area of Creole Village. Finally, delegates will have the opportunity to meet with local government and private sector officials to learn more about the latest and greatest developments on the southern Caribbean island of Martinique. Only Carnival, Princess Cruises, and Royal Caribbean Cruise Line were mentioned in the Martinique Tourism Authority’s press release, but it is worth noting that Disney Cruise Line is one of the 14 cruise lines that make up the FCCA. It is not know at this time whether any representatives from Disney Cruise Line are part of the FCCA delegation. Martinique is not the first Caribbean island to host cruise line representatives. Earlier this summer, Jamaica invited representatives, including those from Disney Cruise Line, to visit the refurbished port of Falmouth. I would like to see Disney Cruise Line release a Southern Caribbean itinerary. How about you? This entry was posted in News and tagged Martinique, Southern Caribbean by Scott Sanders. Bookmark the permalink.